Okay, so it’s come to light recently that Bob Dole was behind the Trump-Taiwan call. Yes, the same Bob Dole that ran for president and lost to Bill Clinton. That same Bob Dole just guided Trump into torpedoing nearly 40 years of US-Chinese relations. We must ask, why? I wonder if there’s more to it than that. Is Donald Trump actually Bob Dole’s ultimate payback to the Clinton’s and/or the American people for refusing him the presidency? Is Bob Dole an evil mastermind, slowly and quietly plotting his revenge since 1996? Let’s look at the evidence. Fortunately we now live in a post-rational fact-free world, so manufacturing evidence is much easier than it used to be. First, if you remember, Bob Dole had this weird tendency to always refer to him self in the third person, as in “You’re always going ‘Bob Dole does this’ and ‘Bob Dole does that.’ That’s simply not something Bob Dole does!” (actual real quote) And we all know from movies and television that people who refer to themselves in the third person are mentally unstable, right? And we all know that the whole Trump running for president thing started at the 2011 White House Correspondents Dinner, where Trump was publicly humiliated by Barack Obama. Did Bob Dole invite Trump to that dinner? I can’t prove that he did, but more importantly, I can’t prove that he didn’t either. We also know that, unlike many Republicans, Bob Dole supported Trump early and often, stating that he was supporting Trump because he couldn’t vote for George Washington (another actual real quote). Has Bob Dole been working quietly behind the scenes to help Trump win the nomination, and then the election itself. I certainly can’t prove that he hasn’t, can you? Also, is it just a mistake that the Dole/Kemp campaign website is still live? No really, it’s still there, check it out: http://www.dolekemp96.org/main.htm Why would he leave that up? Clearly he’s still bitter about losing. 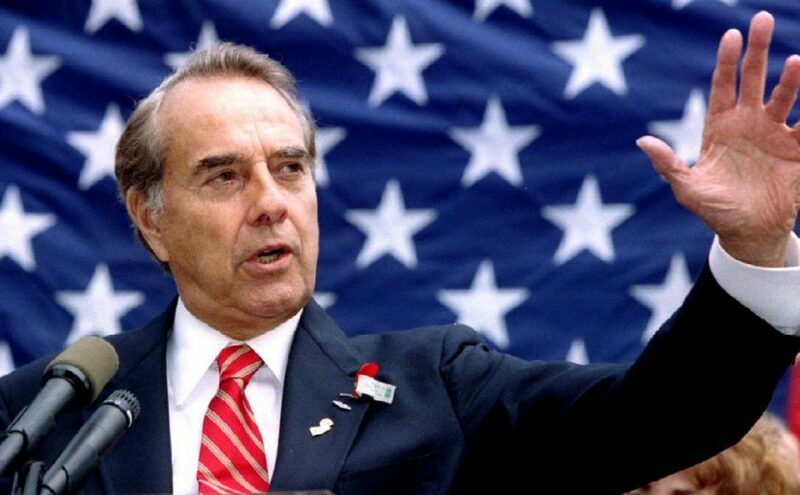 Lastly, we all know the connection Bob Dole has to fruit, what with his stickers on bananas and pineapples all over the country. Wouldn’t it be his ultimate revenge to defeat Hillary by getting an actual orange elected president?